According to the U.S. Census Bureau, New Haven had 130,322 residents as of July 2015. The city’s racial composition is 35 percent African American, 32 percent white American, 27 percent Hispanic or Latino American, and 5 percent Asian American. Poverty is a significant problem, affecting more than a quarter (26 percent) of the city’s population. Moreover, there is extreme inequality between residents, with the top 20 percent of households earning 6.5 times more than the bottom 20 percent. New Haven has also suffered from high rates of violent crime, although its adoption of community policing has helped the city achieve a steady decline in crime over the past five years. Working to address the city’s challenges and rebuild community wealth are numerous nonprofits, anchor institutions, and other groups. As New Haven’s largest employer, Yale University has taken a lead role, contributing over $40 million to community economic development initiatives since 1990. Another nonprofit making significant investments in the city has been the Greater New Haven Community Loan Fund, which has made $57 million in housing loans, funding the development of nearly 2,500 housing units. Several New Haven nonprofits are focused on strengthening the city’s local food economy so that all residents can access fresh, healthy food. For example, CitySeed operates five farmers markets, has a mobile market to bring fresh produce to food deserts, offers double value for SNAP (food stamps) customers, and operates a commercial kitchen space to support small food businesses and hands-on, educational programs. The City itself is also playing an important role in growing and supporting the local economy. For example, New Haven’s Small Contractor Development Program provides minority and women-owned businesses with technical assistance, mentoring, networking, loans to cover preliminary costs, and other targeted opportunities. All city construction contracts of $150,000 or less are reserved for contractors registered in the program, and larger contracts have a 25 percent small subcontractor requirement. Established in 1928, the Community Foundation for Greater New Haven strives to create positive and sustainable change in the Greater New Haven region by increasing and enhancing the impact of community philanthropy. The foundation manages over $530 million in charitable assets, and in 2015, made roughly $24 million in grants and distributions, making it the largest grantmaker in the area. 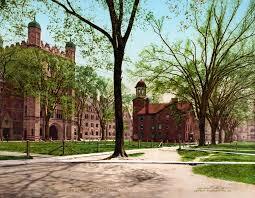 Founded in 1701, Yale University has grown to be New Haven’s largest employer with over 13,000 full-time workers. As the primary supporter of New Haven Promise, Yale provides up to $4 million a year to public school graduates who attend a state college. It also built, and now runs, the Dixwell-Yale Community Learning Center, which provides educational programs and meeting space for the community. Since 1990, the university has contributed over $40 million to community economic development initiatives and $28 million to help more than 1,100 of its employees purchase homes in the area. The Greater New Haven Community Loan Fund (GNHCLF) aims to create and sustain vibrant neighborhoods and communities by providing flexible financing and technical assistance to area affordable housing and community development organizations and projects. Since its establishment in 1987, GNHCLF has made $57 million in housing loans, which have funded the development of nearly 2,500 housing units. With the goal of positioning New Haven neighborhoods for success, Neighborhood Housing Services of New Haven focuses on increasing homeownership, ensuring homes are attractive, energy-efficient, and affordable, and building resident leadership in neighborhoods. Since its incorporation in 1979, the nonprofit has renovated and sold nearly 450 housing units. In 2001, NHS opened its New Haven HomeOwnership Center, which provides homebuyer and homeowner education classes, financial education workshops, and credit counseling to nearly 500 families per year. Striving to boost the quality of life of New Haven residents, Start Community Bank provides personal and business loans that support affordable housing development and new job creation. Its name represents the “start” of a pathway that will lead to economic and social improvements for New Haven and its residents. With roots back to 1940, Connex Credit Union now has assets valued over $450 million, more than 45,000 members, and 7 branches across the New Haven region. Committed to improving the lives of its members, Connex supports a range of charitable and community programs, including its Coins for Change initiative, which donates 100 percent of the small fee required to use its coin cashing machines to community nonprofits. Connex also offers free financial education workshops and special accounts targeted towards teens and students. With no heirs and retirement on the horizon, Michael Vespoli, the World Rowing Champion who founded Vespoli USA in 1980, converted the company to an ESOP to ensure his employees—not a larger suburban or foreign company—would direct the enterprise’s future. With 42 employee-owners and operating out of a custom-built factory in New Haven, Vespoli sells and repairs racing boats used for regattas worldwide. Aiming to catalyze successful small business development in New Haven, Elmseed Enterprise Fund provides entrepreneurs with small, low-interest loans and technical assistance. Since its establishment in 2001, Elmseed has disbursed more than 30 loans totaling over $70,000. CitySeed works to provide access to fresh, local food for all New Haven residents. To do so, the nonprofit founded and administers the New Haven Food Policy Council, which advocates for healthy food for all residents and runs a range of programs focused on connecting people to local food. CitySeed also operates five farmers markets as well as a mobile market to bring fresh produce to food deserts, and offers double value for SNAP (food stamps) customers. Most recently, it opened Kitchen at CitySeed, a commercial kitchen space designed to incubate small food businesses and support hands-on educational programs. Focused on environmental learning and leadership, Common Ground aims to cultivate habits of healthy living and sustainable environmental practices among New Haven residents. To do so, the center operates an eco-focused charter high school and an urban demonstration farm, and offers a range of programs designed to help people of all ages connect with the natural world and develop habits of sustainable living. Its gardens grow 10,000+ pounds of fresh, local produce a year, which it shares with 2,500 low-income community members, and support nearly 100 paid youth jobs and 4 youth business ventures. Founded in 2012 in response to the intersecting crises of diabetes, obesity, environmental degradation, and poverty, New Haven Farms works to transform vacant, dilapidated urban spaces in New Haven’s poorest neighborhoods into small, organic farms. Through its farm-based wellness program, the nonprofit provides low-income adults who are facing diet-related, chronic disease risk factors weekly cooking demonstrations, nutrition classes, gardening seminars, and a share of fresh vegetables and fruits (along with culturally relevant, affordable, nutritious, and bilingual recipes). Its new pilot program, “Peels & Wheels,” uses bikes to transport residents’ food waste to one of its farms, where it is composted and then used at the nonprofit’s farm sites. EMERGE Connecticut, Inc. helps formerly incarcerated people and at-risk youth in the Greater New Haven area return successfully to their families and neighborhoods. To do so, the social enterprise provides its participants with paid, part-time training in its construction, landscaping, and property management business as well as wrap-around support services. Since its establishment in 2011, more than 225 people have completed its program. New Haven’s Livable City Initiative (LCI) is the City’s neighborhood-focused effort to enhance the experience of those who live and work in New Haven. To do so, LCI focuses on enforcing housing code and public space requirements and on implementing programs and public improvements to support high quality, affordable, energy efficient housing and safer, healthier, more attractive communities. To help attract and retain residents, its Re New Haven initiative packages up to $80,000 in incentives for new homeowners, including $10,000 for down payment assistance, up to $30,000 for energy saving renovations, and full-tuition at in-state schools for public school graduates. New Haven’s Small Contractor Development Program aims to help grow the city’s small minority and women-owned businesses by providing them with technical assistance, mentoring, networking, and targeted opportunities. All city construction contracts of $150,000 or less are reserved for contractors registered in the program, and larger contracts have a 25 percent small subcontractor requirement. The program also includes a loan program to help small contractors finance preliminary material and payroll costs up to $100,000. New Haven’s Downtown Crossing Project aims to reconnect the downtown district to its medical district and Hill neighborhoods by redeveloping the city’s uncompleted highway, Route 34 East, and its surrounding 10 acres into a livable, walkable community. In March 2016, the first phase of the project was completed, which included the 14-story, environmentally-sustainably headquarters of Alexion Pharmaceuticals (which brought approximately 960 jobs to the area). The second phase will redevelop the site where the city’s Coliseum once stood into a 1.1 million square foot mixed-used development. The ten-year project is expected to create 4,700 construction jobs and 2,800 permanent jobs at completion.